Prominent & Leading Manufacturer from New Delhi, we offer brass wire brush. 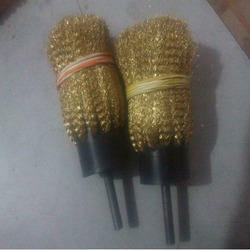 Being a client oriented firm, we are involved in delivering best series of Brass Wire Brush to our customers. The offered item is developed in accordance with the global quality standards with the help of best components and sophisticated technologies. It is available in different sizes, shapes and lengths and can also be modified as per the demands of our clients.